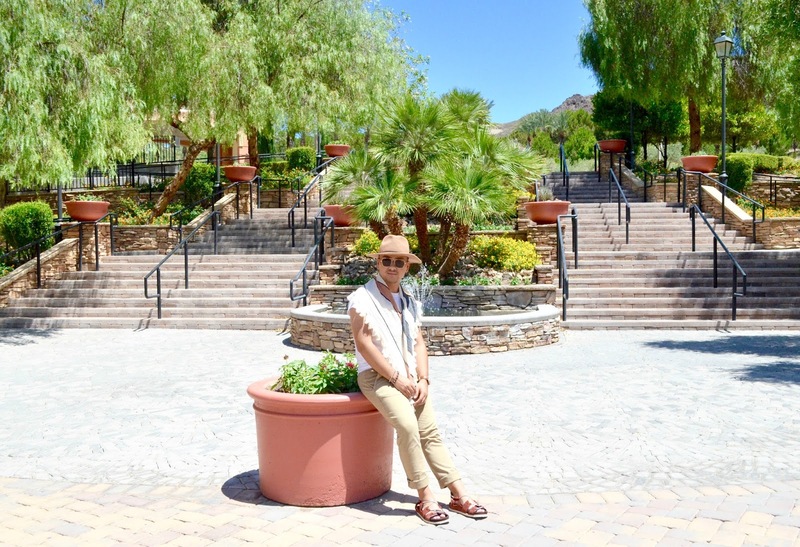 Mini road-trip outside Las Vegas, NV! 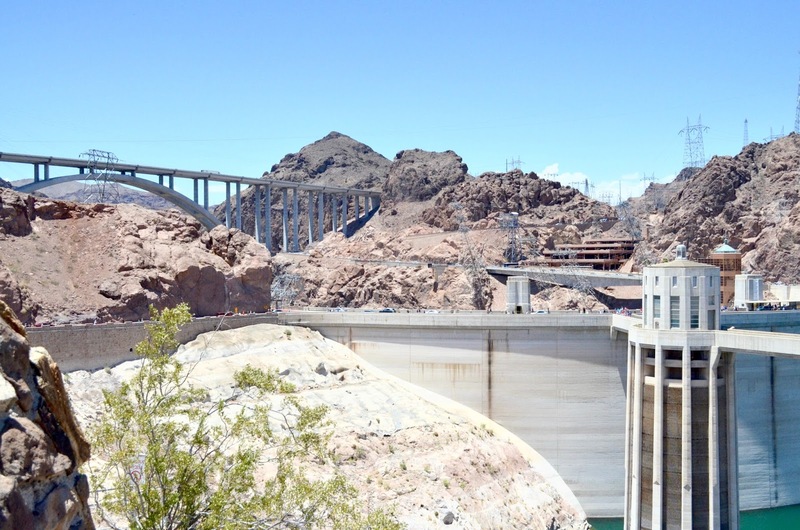 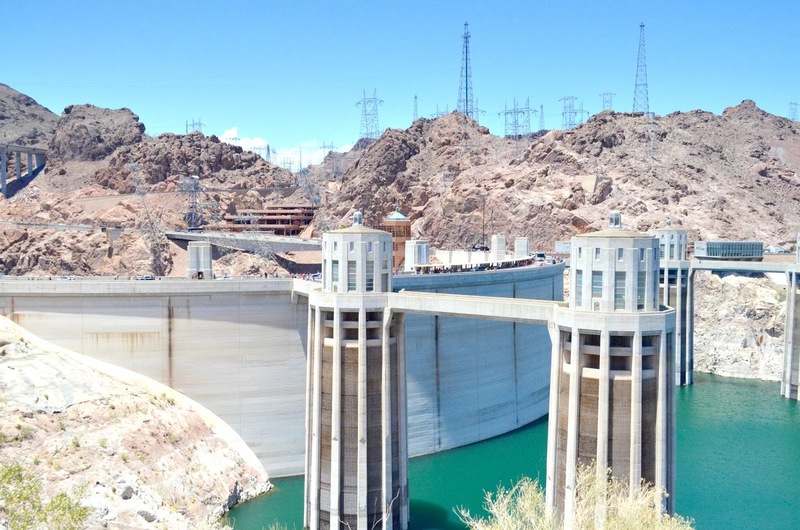 One of the first places I wanted to visit during my trip in vegas, was the amazing, Hoover Dam. 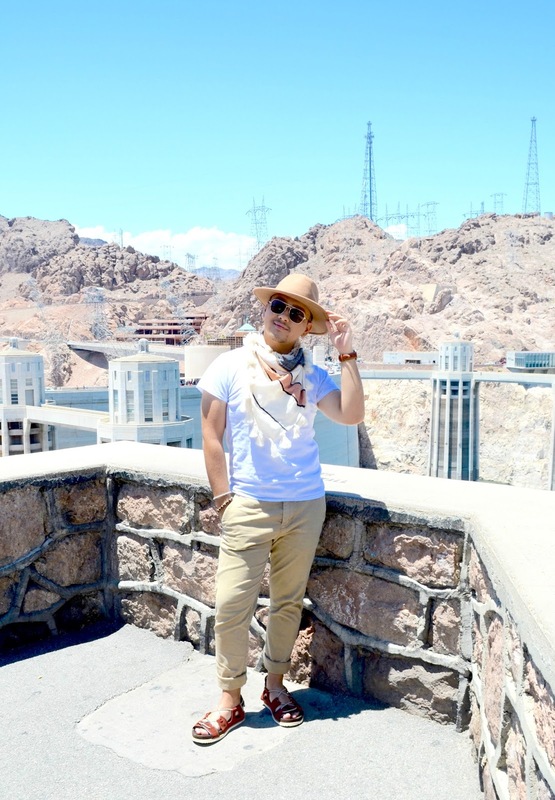 Since I was I was little, I've been passionate about architecture and crazy human creations, and the visiting Hoover Dam, really made me feel like a kid again! 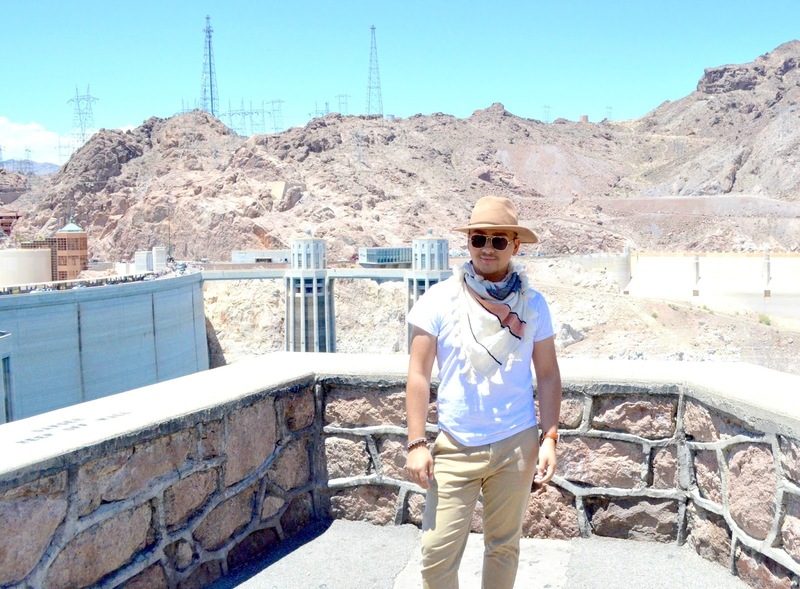 After a short drive from vegas, I arrived at the border of the states of Nevada and Arizona. 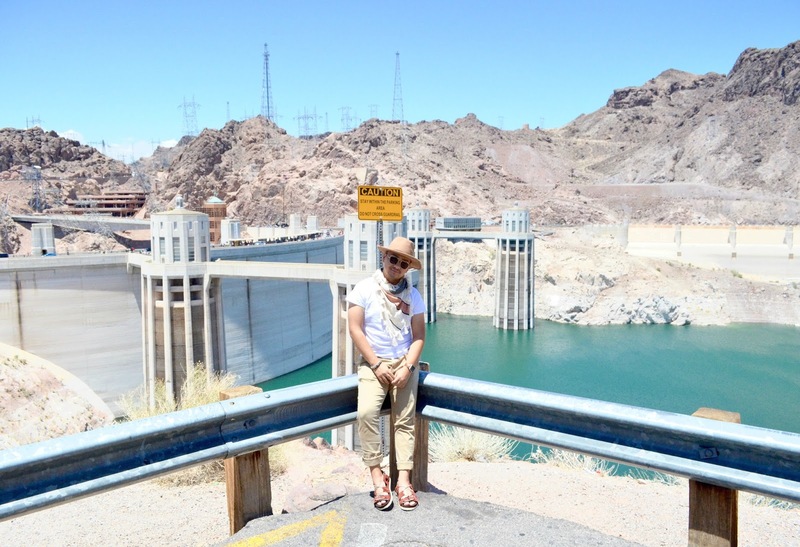 I'm not gonna lie, it was a bit warm, but I was very happy to finally be in one of America's historical creations. 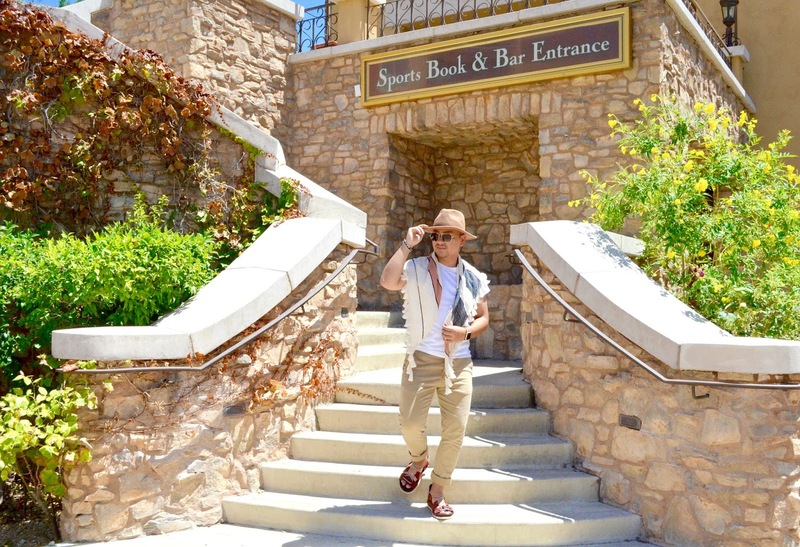 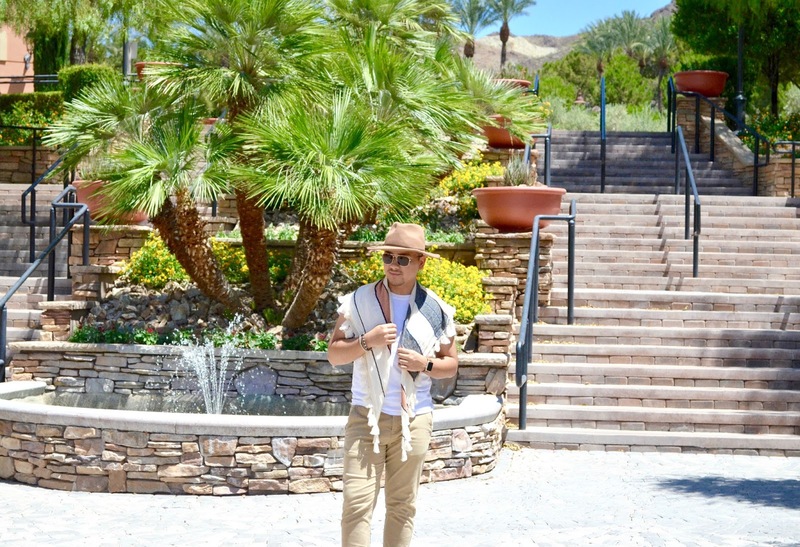 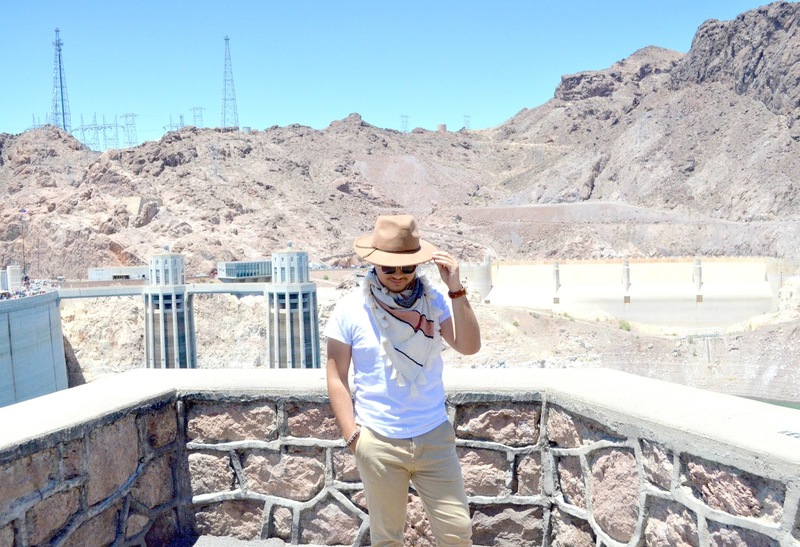 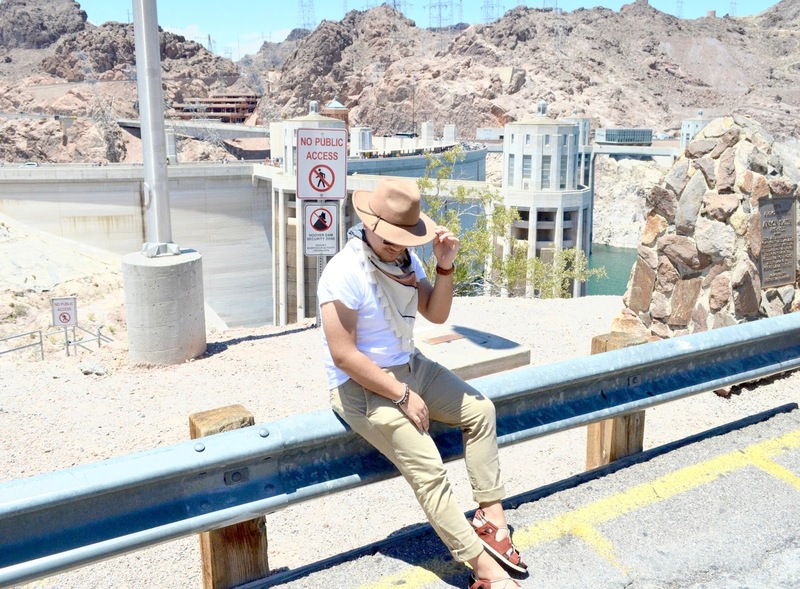 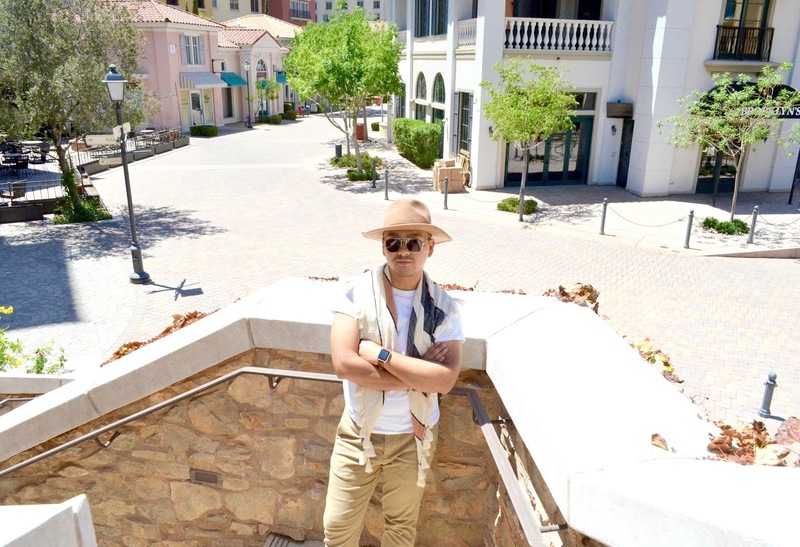 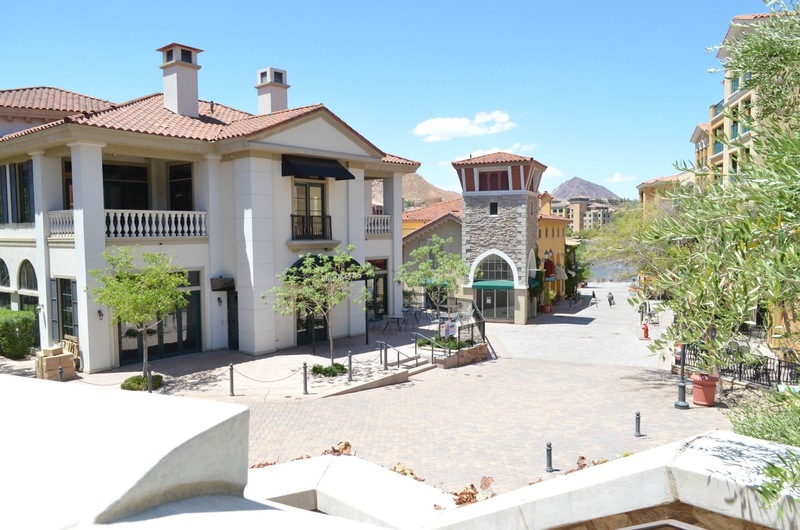 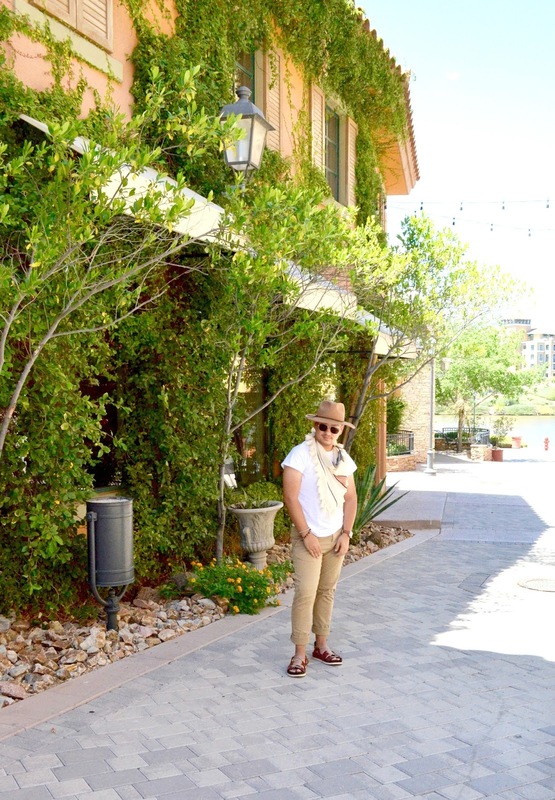 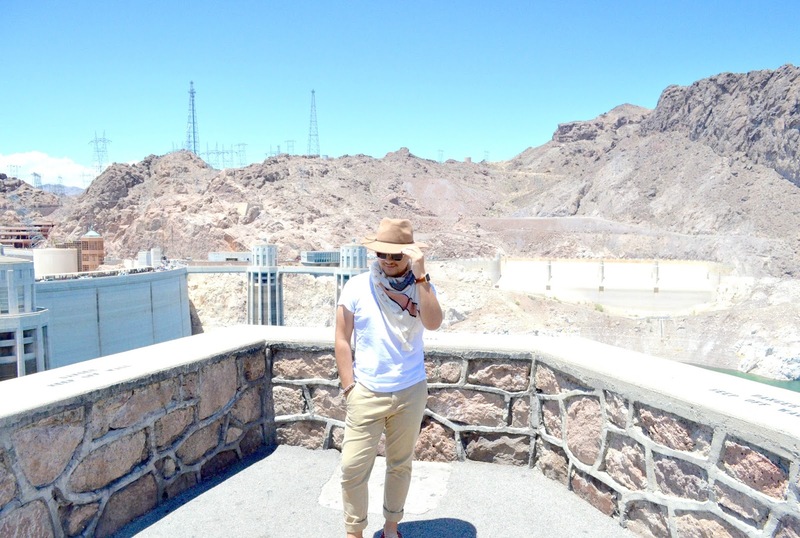 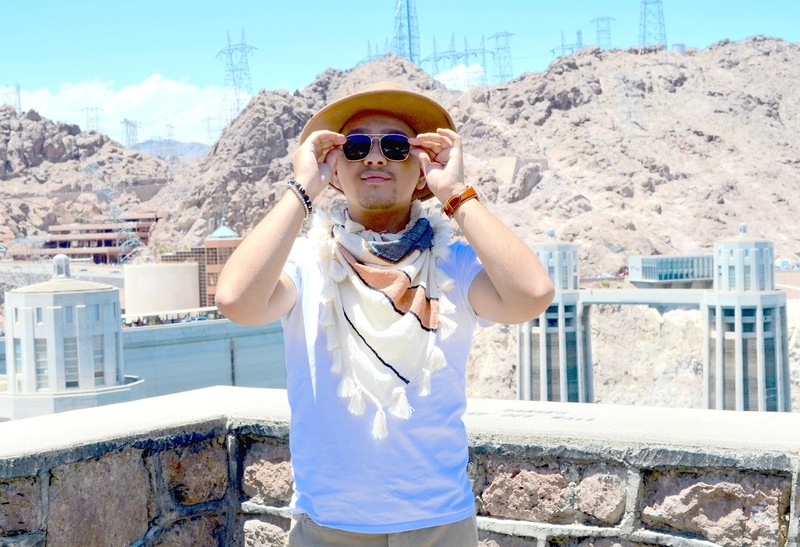 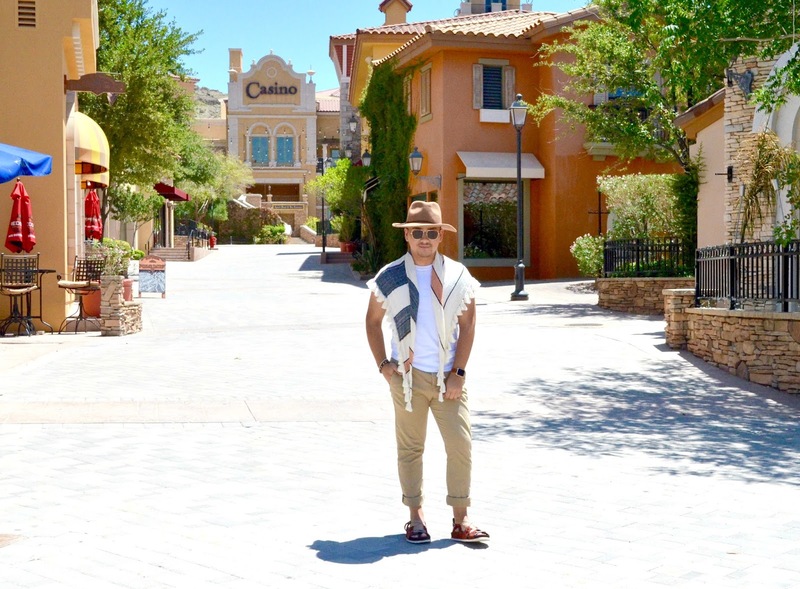 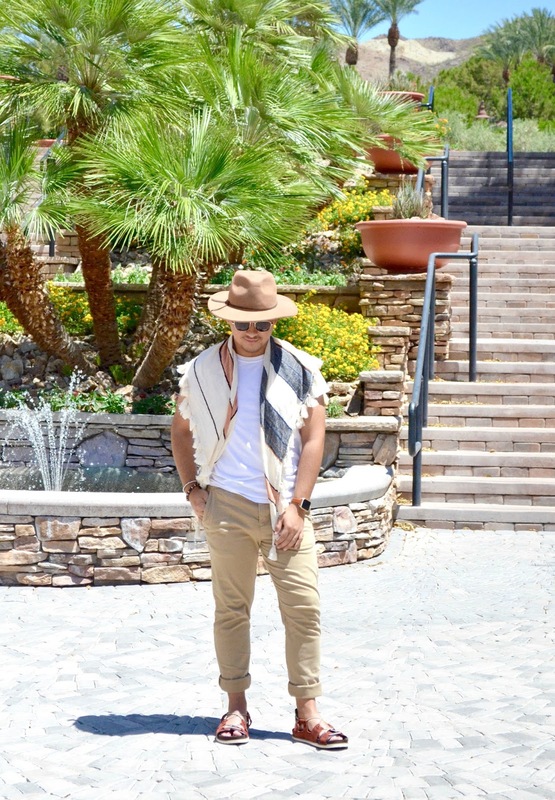 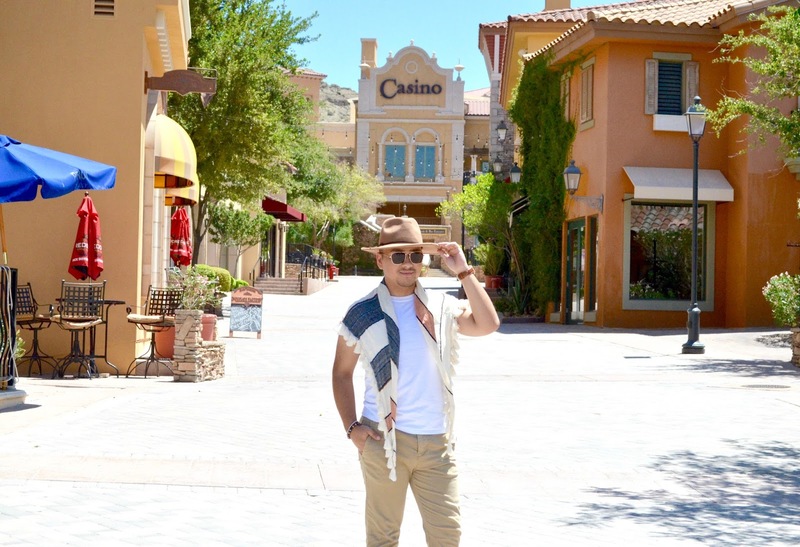 For this fun mini road trip outside of Las Vegas, I decided to pull off some tourist style. 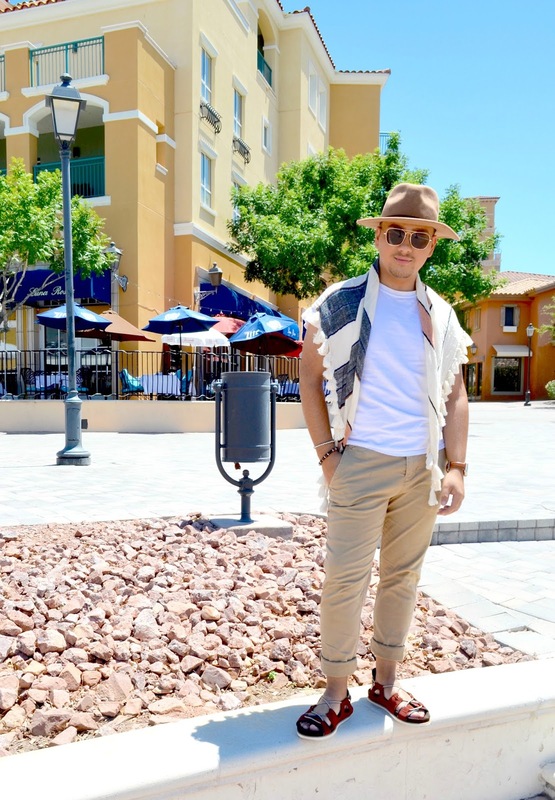 Starting by pairing up a simple white t-shirt from Calvin Klein with a pair of beige pants from American Eagle to keep it fresh but covered enough to not get burn from the sun. 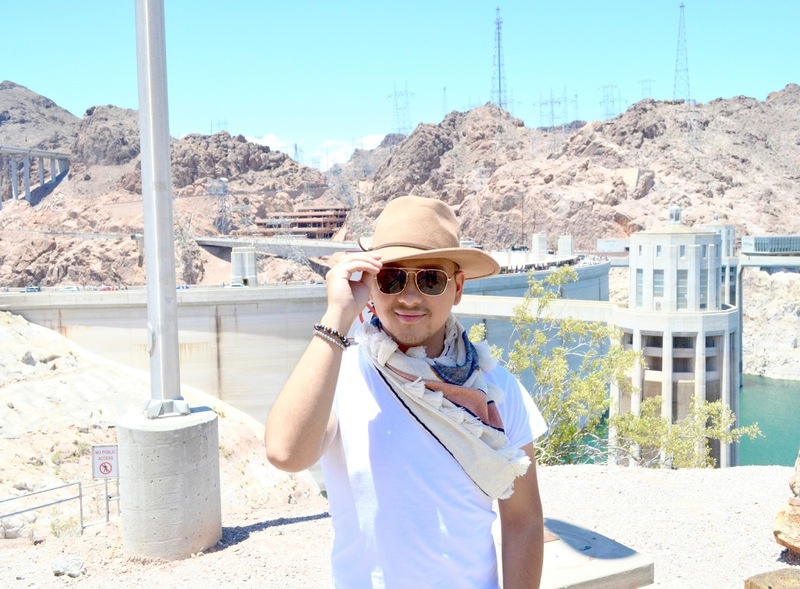 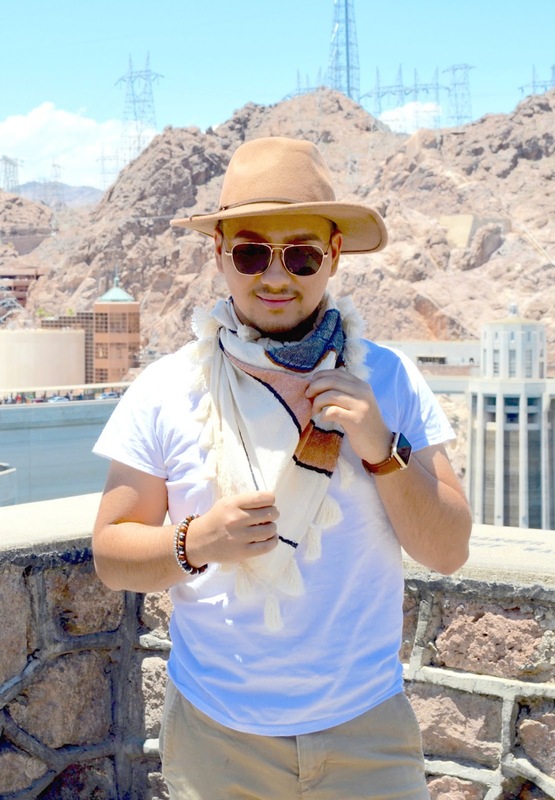 Talking about trying not get burn from the sun, my vegas trip favorite brown fedora hat, really helped my face stay nice and tan. 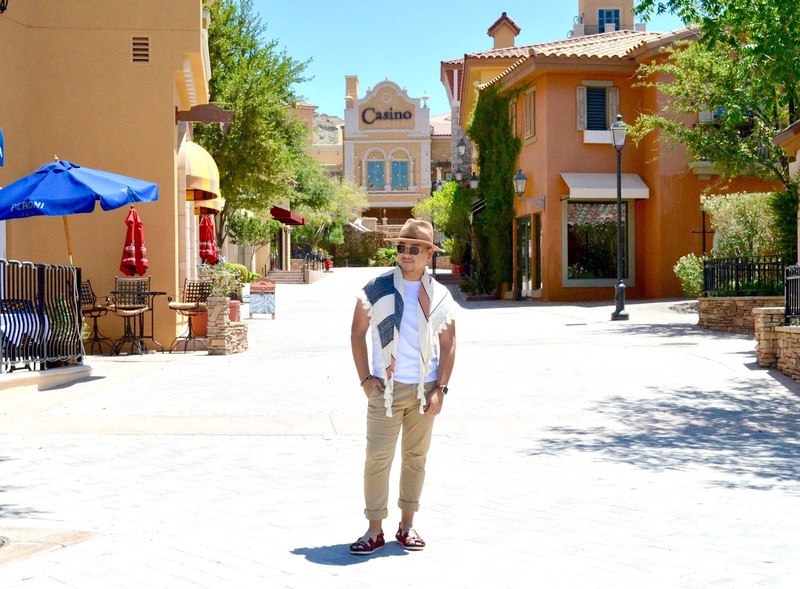 Seemed featured in my first vegas outfit look post - 21 In Vegas - these red sandals from Zara, became one of my favorite obsessions during the summer season. 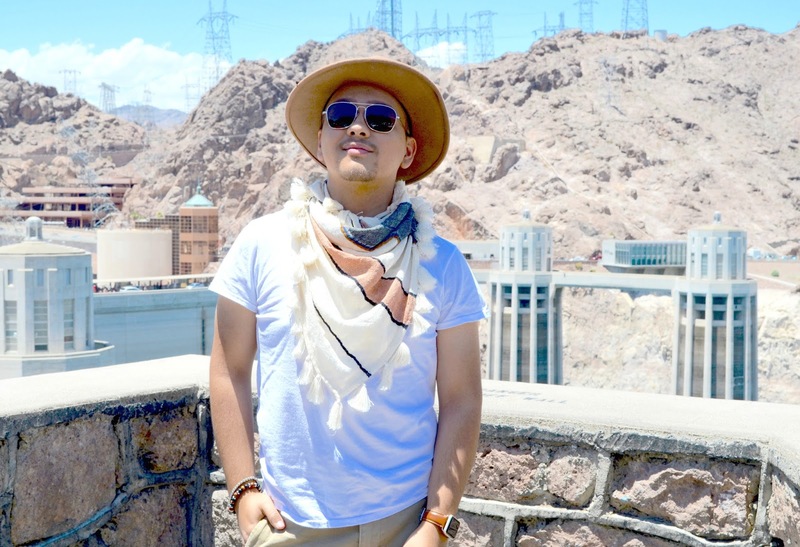 A while back in New York, I purchased this scarf and I never actually found an ideal event or outfit to wear it with, but better late than never, and for this occasion and outfit, it was the perfect accessory. 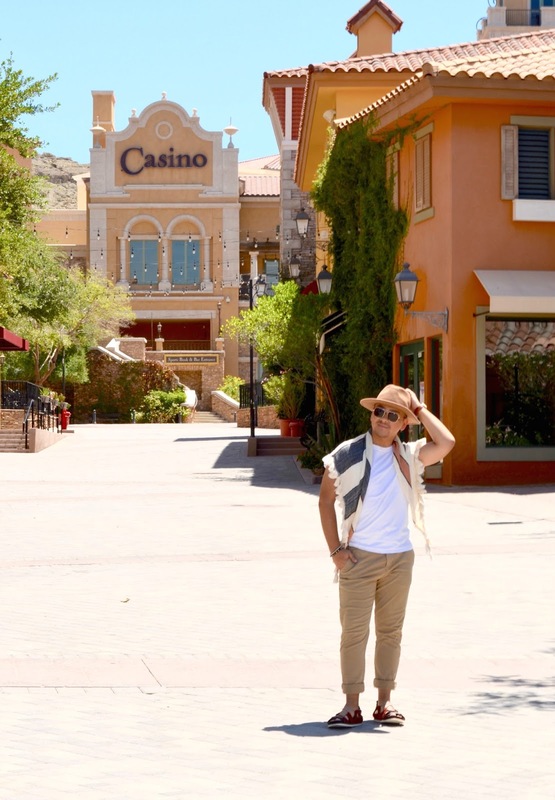 That's all for today and I'lll see you all in my next post!